The Coalition of Prison Evangelists (COPE), a national organization headquartered in Bedford, Texas is planning a Mid-Atlantic Conference in Greensboro, N.C. September 24-26, 2014. COPE is a professional service organization whose purpose is to train and equip people who work in criminal justice ministries with inmates, their families, victims, formerly incarcerated people, and delinquent juveniles. Their conferences have been held all over the country and overseas in Africa and Ghana. The Rev. Reggie Longcrier of Hickory wears many hats in the criminal justice movement, and will be a featured speaker at the COPE Mid-Atlantic Conference on September 25, 2014. Longcrier has been the chaplain of Catawba Correctional Center in Newton for 28 years. He is also the founding Executive Director of Exodus Homes, a faith based United Way agency that provides supportive housing for homeless recovering people returning to the community from substance abuse treatment centers and prison. The three day conference covers many subjects including dealing with family issues, organizational development, using social media for marketing, fund development, human trafficking, pluralism in religious practices within prisons, post incarceration trauma, and many other important topics. Longcrier’s presentation “Non Traditional Faith Based Supportive Housing” is the only one about housing people coming out of jail or prison. It will cover the comprehensive services at Exodus Homes which are primarily provided with guidance and supervision by peer leaders who are residents in the program. He will show how the housing program partners with many local prisons, and Exodus Missionary Outreach Church where he is the founding pastor. Longcrier will also share how they developed in-house enterprises called Exodus Works that provide vocational training for the unemployed residents while generating income to support the program. Exodus Homes has a national reputation for innovation and effectiveness, and Longcrier has spoken all over the country for years about the unique Exodus model for developing grassroots peer led programs. Longcrier was incarcerated off and on for 25 years while he battled addiction to cocaine and heroin. 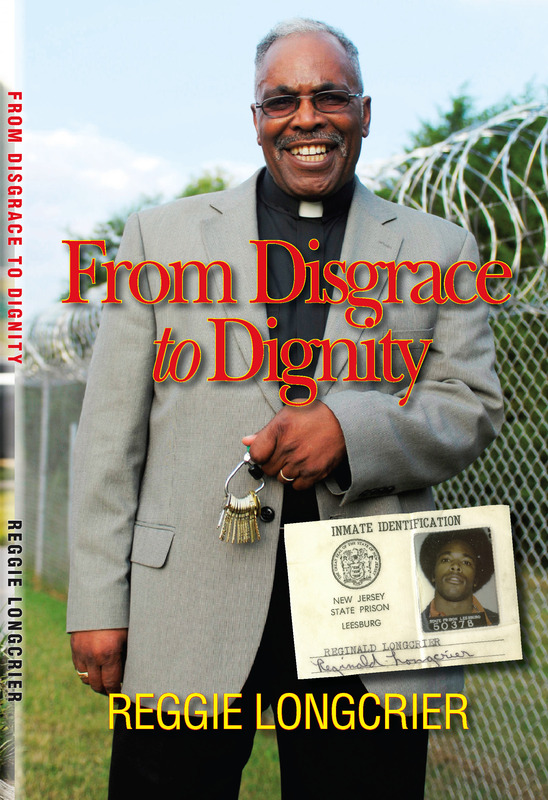 Prison ministry programs changed his life, and he tells the story of his transformation in his book “From Disgrace to Dignity” that was published in 2010. Today as chaplain at Catawba Correctional Center in Newton he holds the keys to the prison gate where he was once an inmate. “I always look forward to the COPE conferences because it brings together the best of the best in criminal justice and prison ministry. I am very honored that they have invited me to present in Greensboro” said Longcrier. For more information about the COPE conference go to www.copeconnections.org. For more information about Exodus Homes or the book “From Disgrace to Dignity”, contact Rev. Reggie Longcrier at 828-962-8195 or revlongcrier@exodushomes.org or www.exodushomes.org. In 1997 when the Rev. Reggie Longcrier founded Exodus Missionary Outreach Church, his message was that they were starting “The Exodus Movement” which would bring people and communities from disgrace to dignity. This movement included a non traditional multi-ethnic church, a growing prison ministry, and a vision for a housing program to serve the least of these. Rev. 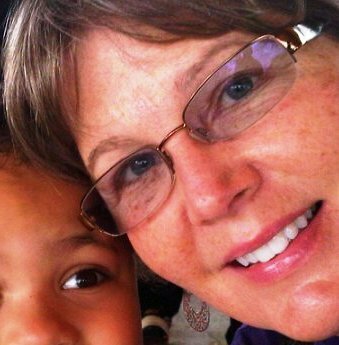 Susan Smith Walker was there from the beginning. She has seen the Exodus Movement manifest into a thriving inclusive church where she is associate pastor, a strong prison ministry that brings inmates into the community regularly, and the success of Exodus Homes where she is the assistant executive director. Exodus Homes is a United Way agency that provides 60 beds of faith based supportive housing for homeless recovering people returning to the community from treatment centers and prison. The program has a national reputation for excellence and innovation. Walker has spoken at the White House, and as far as Los Angeles about the unique peer led continuum that has reduced neighborhood crime, reduced prison recidivism, and given thousands an opportunity to learn a new way to live after addiction or incarceration. Three years ago, an old friend of Walker’s who lives in Germany came to tour the ministry while in the United States after reading about it on Facebook. She was so impressed by what she saw that she returned to her church in Germany and convinced The American Protestant Church (APC) in Bonn to begin sending annual financial support to Exodus Homes. The APC is a very diverse English speaking congregation with 40% of the members from Africa, 30% from Germany, and the rest from countries all over the world who are in Bonn to go to university or work. Muslim people from many countries are settling in Germany, and they are very challenged by the cultural and language barriers of the growing number of their Middle Eastern neighbors. The relationship between the APC in Germany and the Exodus ministry has grown stronger over the years. They have invited Walker to come to Germany and facilitate a leadership retreat where she will help participants develop greater empathy and compassion while untying the inner knots that block the Holy Spirit from freely leading people into servant leadership. She has been prayerfully developing an interactive program that will include highlighting how Exodus church, the prison ministry, and Exodus Homes work together to make the community a better place to live for all people. She will also share other ways to make a difference at home and in the world such as the Shelter Box program (www.shelterbox.org), and Compassion International (www.compassion.com). APC pastor the Rev. John Carrick says “There are a surprising number of Muslim people in our neighborhood. I do encounter them around the church and in the park near the church all the time. There is a huge cultural barrier for most of us in reaching out to them because of a language difference for many of us and because we do not know what is appropriate or polite in their culture. Many of us rub shoulders with Middle Eastern folks but make no eye contact and do not speak to each other.” Walker sees similarities between how Germans experience discomfort with the “other” just as people here are unsure how to feel about homeless recovering people as they try to re-enter society and begin again. The retreat will be held 80km from Bonn at the The Familienferiendorf Hübingen located in the mountain setting of the Nassau Natural Park, Westerwald. Walker leaves for Germany on September 30, 2014 and will return on October 6, 2014. She is thrilled that what the Exodus ministry has accomplished in Hickory, N.C. will now impact church leaders in Europe. Many members of the APC are only in Bonn for a season, so what they learn in this retreat has the potential to spread worldwide when they return to their home countries. Click this link to download a brochure about the American Protestant Church conference. 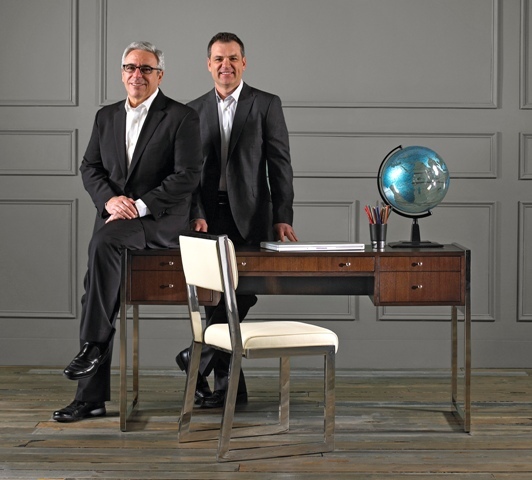 Taylorsville furniture manufacturers Mitchell Gold (left) and Bob Williams of Mitchell Gold + Bob Williams, Inc.have made a $10,000 gift to Exodus Homes in the 2013 Mitchell Gold + Bob Williams Challenge. They are challenging the community to match their gift to help the faith-based United Way agency provide supportive housing for homeless recovering people who are returning to the community from treatment centers and prison. Taylorsville furniture manufacturer Mitchell Gold + Bob Williams, Inc. is a strong supporter of Exodus Homes, a Catawba County United Way agency that provides faith-based supportive housing for homeless recovering people returning to the community from treatment centers and prison. They believe in Exodus Homes’ strong work ethic, and commitment to being as self supporting as possible. Exodus Homes is able to generate two thirds of their annual operating budget from in-house enterprises called Exodus Works and resident fees, and they depend on tax deductible contributions to make up the gap. Gold and Williams have stepped up for the past seven years with a $10,000 gift in the summer when revenues and expenses collide in a serious cash flow crunch because of insurance renewals, and other annual expenses that all come due at the same time. “The annual Mitchell Gold + Bob Williams Challenge has been a faithful bridge that brings us over the financial dog days of summer, and we are deeply grateful for their help” says the Rev. Reggie Longcrier, Exodus Homes executive director. They are challenging the community to match their gift to raise an additional $10,000 so that Exodus Homes residents can continue becoming productive tax paying citizens. Mitchell Gold believes that every gift produces a great return on investment by helping homeless recovering people learn a new way to live, reduce neighborhood crime, and reduce prison recidivism. The 2013 Mitchell Gold + Bob Williams, Inc Challenge is on from now through September 27, 2013. To participate, send your tax deductible gift to Exodus Homes, P.O. Box 3311, Hickory, N.C. 28603 or you can give online at www.exodushomes.org. We’re STILL Running for Recovery! Hickory resident Angela Hamilton are running the 117th Boston Marathon on April 15, 2013 to raise money for Exodus Homes to help them continue their great work with homeless recovering people returning to the community from treatment centers and prison. Exodus Homes provides a comprehensive array of services that emphasizes work and productivity as the path to wholeness. This is Angela’s third Boston Marathon and Katie’s first. They are excited to run together as a way to raise awareness that recovery from addiction and incarceration is indeed a marathon-not a sprint! Angela is a board member of Exodus Homes, and dedicated her second Boston Marathon in 2012 in honor of Exodus Homes and her son, Nolan. She raised awareness about teenage substance abuse, interventions, and continues to assist local families seeking help for their teens. In 2011, Angela’s running friend, Anna Griffis, carried the torch for Running for Recovery. Anna is a former resident of Hickory who now resides in Colorado. She is the daughter of the Rev. Thomas and Susan Griffis of Hickory. While training in 2011, Anna worked with homeless and addicted people in Washington, DC. The 2010 and 2011 Running for Recovery campaigns raised over $35,000 to help Exodus Homes survive the recession and continue serving homeless recovering people regardless of their inability to pay anything at admission. At age 53, Angela has qualified for five Boston races. She compared the rigorous training for each race to what the Exodus residents must do to learn a different way of life saying, ”People in recovery have to work hard to stay clean and sober every day, often against all odds. I am running another Boston Marathon for them because it’s never truly over for these folks. As a board member, I see how hard they must work, and I see how much it takes for Exodus to help them become productive members of society. I am a strong supporter of Exodus Homes, and I will run my best for its survival and for all the people who have been transformed by their unique program”. Angela is also an avid biker along with her husband, Dr. David Hamilton. She works in private practice as a speech-language pathologist and consults with Solutions of Hickory. She is a member of St. Luke’s United Methodist Church where she helps with the ESL program. She is also an Augustine Project Tutor at Grandview Middle School. This year, Angela is designating all Running for Recovery funds to be used for sponsoring new Exodus Homes’ residents who are admitted regardless of their inability to pay. Exodus Homes is one of the only programs that will accept homeless recovering people who cannot pay. Your gift in Running for Recovery will help sponsor their first month – the critical orientation phase. During this time, new residents are assessed and receive help with food, clothing, medical care, transportation, access to substance abuse treatment, orientation to recovery, and job readiness training. Your gift for the 2013 Running for Recovery campaign can help a man or woman begin again, and learn a new way of life! In addition to your financial support, there are other ways to help in this important work that reduces neighborhood crime and stabilizes the community. You can volunteer your time and talents to Exodus Homes in helping a resident find a job; provide transportation to medical appointments or court; work in the Exodus Homes office, or volunteer at the Exodus Works Thrift Store at 510 1st Ave SW in Hickory, 28602. Please contact Rev. Susan Smith at revsusansmith@gmail.com or 828-962-8196 for more information about volunteering. Donations of furniture, appliances, and household items in good condition are always needed at the Exodus Works Thrift Store, where you can also get your car hand-washed as you shop. Please call 828-828-324-2390 if you need us to pick up your donation. Rev. 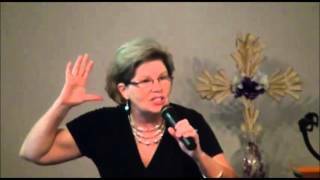 Susan Smith, Rev. Reggie Longcrier, and Angela Hamilton are all available to speak to churches, civic groups, and other organizations about the work of Exodus Homes. Please call on us! 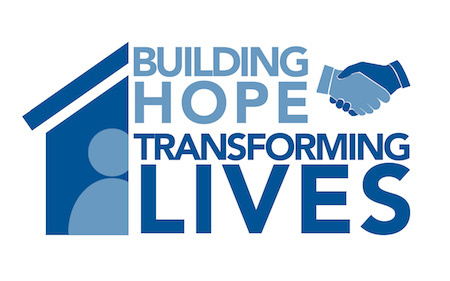 Thank you for being a partner in the 2013 Exodus Homes Running for Recovery campaign. What Your Tax Deductible Gift Will Do For A New Resident – Please Designate Your Gift! When you give, your name will be added to the 2013 Running for Recovery banner that will be displayed at our celebration on Saturday, May 25, 2013 from 11:00am – 1:00pm at Exodus Church, 1763 Highland Ave NE in Hickory 28601. Please join us as we thank Angela and Katie for running for us! You’re invited! Or you can give online by clicking on the “Donate” button to the right. Everything FREE! • FREE Pictures with Santa! Please join us on Monday December 3, 2012 from 5:30pm – 7:30pm for the ninth annual Exodus Homes Christmas Lights Festival and Food Crawl. “Crawl” through the Exodus Homes campus area while enjoying the beautiful lights and feasting on free food provided by Olive Garden, Pizza Hut, Texas Roadhouse, Biscuitville, Taste Full Beans Coffeehouse, Pepsi, LINC United Church of Christ Ministries, Exodus Soul Food Cafe and more! Hickory Mayor Rudy Wright will once again light the rooftop Christmas tree to start the festival and let the fun begin! This year we will be providing free pictures with Santa so bring the whole family! You know you want to have your picture made with Santa. We have multicultural Santas, and a veteran Santa dressed in camo – take your pick! Bill Morgan will amaze us with his fire eating juggling, Soldiers of Christ Step Team will dance, and our stage area will feature Unifour Christian Fellowship Praise and Worship Team, Exodus Gospel Choir, Prodigal Sons and Daughters, and other great music for your enjoyment. The 2012 Exodus Homes William Mangum Honor Card “The Climb” honoring the struggle of our homeless veterans will be on sale, and we hope you will give some to family and friends for the holidays. Get there early because it doesn’t last long! See you then! Please RSVP to tiffanycanaday@gmail.com or 828-962-8878. For more information about the 2012 Honor Card or this event, please contact Rev. Susan Smith, revsusansmith@gmail.com or 828-962-8196. The sale of William Mangum Honor Cards during the holidays is a primary source of funding for Exodus Homes annually. 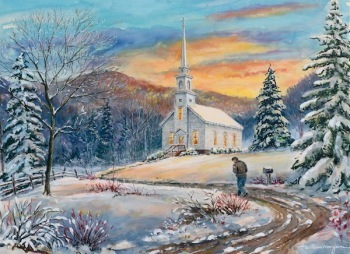 Greensboro artist William Mangum donates the paintings, and Wells Fargo produces the cards. 100% of the proceeds from Honor Card sales benefit Exodus Homes. 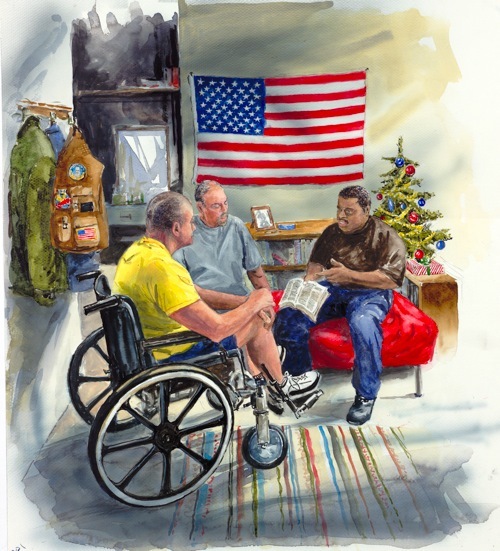 This year’s card is called “The Climb” and honors the struggle of homeless veterans. It is estimated that 25% of all homeless people are veterans. Exodus Homes has served many homeless veterans over the years, and today we support them in the community through Unifour Veterans Helping Veterans, a support group we helped establish at Grace House in Hickory. These beautiful Honor Cards are given as small gifts or used as holiday cards. Each card tells the recipient a gift has been made in their honor to Exodus Homes, and includes information about our program. The funds generated by the sale of Honor Cards helps us serve all homeless recovering people returning to the community from treatment centers or prison, but this year’s card is especially relevant to the homeless veterans we serve. On November 19, 2012 at 6:00pm at Exodus Missionary Outreach Church we will host a special dinner for church representatives, business representatives, and individuals who would like to be a part of getting the word out about the 2012 Exodus Homes William Mangum Honor Card. William Mangum will be with us to tell us the history of the Honor card program and describe the three homeless veterans who inspired this year’s card. “The Climb” Honor Cards will be on sale for those wishing to purchase them that evening as well. We hope you will join us for a delicious meal and fellowship with William Mangum, the one who has helped raise over $4,000,000 for homeless programs over the past 25 years. Those who agree to help get these cards out in the community will be helping all the homeless recovering residents of Exodus Homes, especially our homeless veterans, and other homeless and needy veterans in the community. Please watch the video below to see the inspiration and story behind the 2012 William Mangum Honor Card “The Climb”, or visit the The Honor Card website. To learn more about the Honor Card program, or to place an order, visit this page. We hope to see you at the dinner at 6:00pm on November 19 at Exodus Church! Please RSVP to tiffanycanaday@gmail.com or 828-962-8878. For more information about the 2012 Honor Card or this event, please contact Rev. Susan Smith,revsusansmith@gmail.com or 828-962-8196. 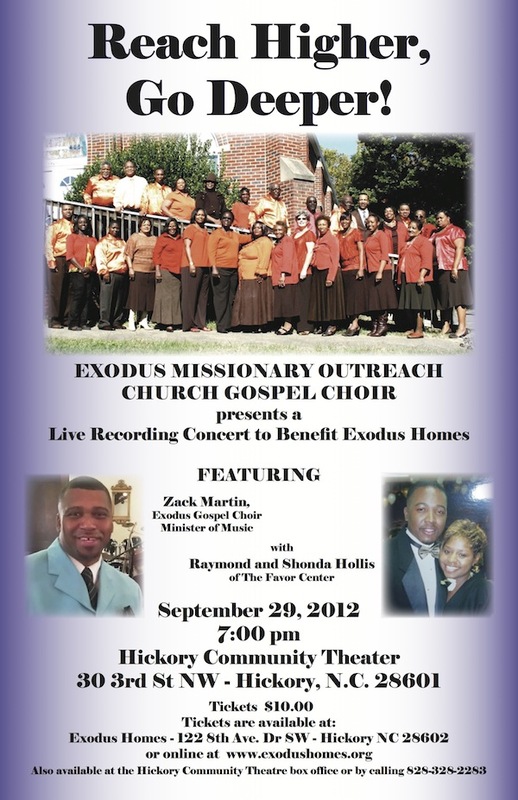 Exodus Missionary Outreach Church Gospel Choir presents a “Live Recording Concert” to benefit Exodus Homes on September 29th, 2012. The concert will be held at the Hickory Community Theater (30 3rd Street NW, Hickory, NC 28601), starting at 7:00pm. Tickets are $10.00, and available online at www.exodushomes.org or at the Hickory Community Theater box office or by calling 828-328-2283. This special concert will feature Zack Martin, Exodus Gospel Choir Minister of Music, along with Raymond and Shonda Hollis of The Favor Center. The Rev. 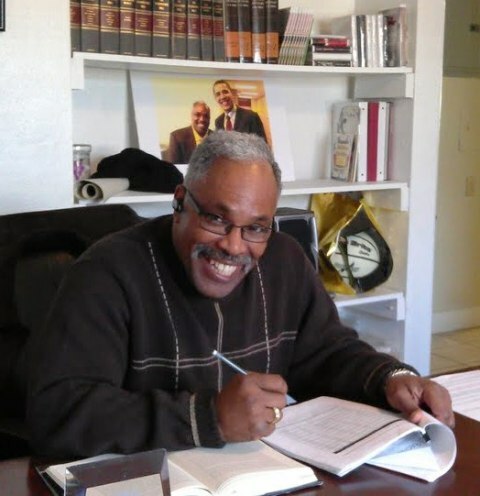 Reggie Longcrier is seen in his office at Exodus Homes in Hickory, N.C. preparing for his trip to Washington D.C. on February 28, 2012 to participate in a national forum for faith leaders to brainstorm strategies to end mass incarceration hosted by The Sentencing Project. To prepare for the forum, he has been studying national trends and current research on the subject such as a 2011 Pew Charitable Trust report called “State of Recidivism, The Revolving Door of America’s Prisons”, and “The New Jim Crow – Mass Incarceration in the Age of Colorblindness” by Michelle Alexander. The Rev. Reggie Longcrier, founding executive director of Exodus Homes is going to Washington, D.C. to participate in a planning meeting of religious leaders convened by The Sentencing Project to develop a long term vision and strategy for ending mass incarceration The meeting on Tuesday, February 28th, 2012 in Washington, D.C. is part of a 9-month process of exploring the dramatic rise in the prison population in the United States, and has included state based advocates, formerly incarcerated persons, and national organizations working towards reforming the nation’s criminal justice system. Faith leaders play an important role in calling for significant changes in the criminal justice system because of their ability to expand the constituency engaged in reform. Exodus Homes is a faith-based United Way agency that provides 63 beds of supportive housing to homeless recovering people returning to the community from treatment centers and prison in Hickory, N.C. This is not the first time representatives from Exodus Homes have been invited to help shape national policy in Washington. The goal of this convening is to bring together faith-based leaders who can help identify the structure and framework of a national campaign to end mass incarceration. Faith leaders play an important role in calling for significant changes in the criminal justice system because of their ability to expand the constituency engaged in reform. Longcrier was invited because of the national reputation of excellence at Exodus Homes which includes his work as chaplain of Catawba Correctional Center in Newton, N.C. The United States is the world’s leader in incarceration with 2.3 million people currently in the nation’s prisons or jails — a 500% increase over the past thirty years. These trends have resulted in prison overcrowding and state governments being overwhelmed by the burden of funding a rapidly expanding penal system, despite increasing evidence that large-scale incarceration is not the most effective means of achieving public safety. The Sentencing Project is a national organization working for a fair and effective criminal justice system by promoting reforms in sentencing law and practice, and alternatives to incarceration. As a result of The Sentencing Project’s research, publications and advocacy, many people know that this country is the world’s leader in incarceration, that one in three young black men is under control of the criminal justice system, that five million Americans can’t vote because of felony convictions, and that thousands of women and children have lost welfare, education and housing benefits as the result of convictions for minor drug offenses.The Sentencing Project is dedicated to changing the way Americans think about crime and punishment. Longcrier has over 25 years of experience working with incarcerated people and those returning to the community from prison. To prepare for the forum, he has been studying national trends and current research on the subject such as a 2011 Pew Charitable Trust report called “State of Recidivism, The Revolving Door of America’s Prisons”, and “The New Jim Crow – Mass Incarceration in the Age of Colorblindness” by Michelle Alexander. 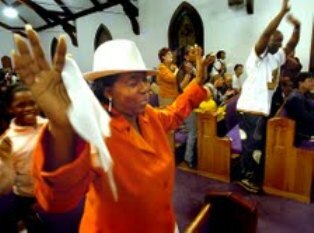 The Exodus Homes’ “Giving Back” Gospel Concert is an annual event of thanksgiving to the community for supporting the faith-based United Way agency that provides supportive housing to homeless recovering people returning to this area from treatment centers and prisons. The renown Exodus Missionary Outreach Church Gospel Choir under the direction of Minister of Music Zack Martin will sing contemporary and traditional gospel music sprinkled with testimonies of thanks from Exodus Homes’ residents. For many people, the Giving Back Gospel Concert is an upbeat way to close the holiday season for another year. Exodus Homes will give a special thanks to Greensboro artist William Mangum, creator of the Honor Card program which has raised over three million dollars for programs helping homeless people over the past 24 years. Each year, Mangum creates a special painting with a message for the Honor Card which is produced at no charge to the nonprofits who receive 100% of proceeds from card sales. The Honor Card program is a major fund raiser for Exodus Homes every year. 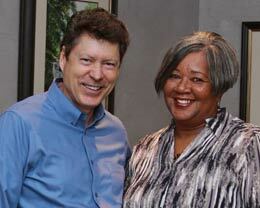 William Mangum is seen today with Bonnie Harris who is now the director of Hanah’s Haven in Greensboro. The 2011 Honor Card titled “Change the World” features Bonnie Harris, a formerly homeless woman who Mangum met at church in Greensboro. He was impressed by how she had overcome addiction and homelessness to become the founding director of Hannah’s Haven, a Greensboro program that helps homeless recovering women get back on their feet again. In the “Change the World” painting, Harris looks out the window at a homeless person in a scene that Mangum hopes will inspire us to do for one what we would like to do for everyone. During the Giving Back Gospel Concert, Harris will perform “He Loves Me Anyway” with her liturgical dance team made of up of residents and graduates of Hannah’s Haven. When considering how God has brought her from homelessness to community leader, Harris said, “There are only two words that I can say – praise Jesus. I never imagined that God would use what almost destroyed me so that I could help others.” Since 1998, Exodus Homes has helped thousands of homeless people like Harris become productive, tax paying citizens. The Giving Back Gospel Concert is a celebration of life and the amazing ability to change with God’s help. The concert is free and followed by a lively time of fellowship and light refreshments. For more information, contact Rev. Susan Smith at revsusansmith@gmail.com or 828-962-8196. Dress up for Christmas with Exodus Homes and Exodus Church along with youth from the Young People of Integrity, Soldiers of Christ Step Team, Church of the Master United Church of Christ, Episcopal Church of the Ascension, Unifour Christian Fellowship Church and others for a walking holiday parade from Union Square down 1st St. SW to the Exodus Home campus area in Ridgeview. 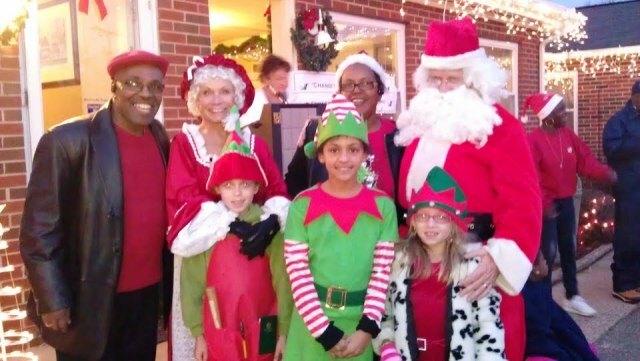 Sing Christmas carols all the way through town, arriving at Exodus Homes just in time for the start of the seventh annual Christmas Lights Festival and Holiday Feast. This is fun for the whole family! Anyone who wants to be in the Jingle Bell Parade needs to assemble in downtown Hickory on Union Square at 4:00pm, leaving for Exodus Homes at 4:30pm. Come early and do some shopping before the beginning of the parade! Last year the recession caused us to cancel this event but this year we are back BIGGER and BETTER than ever! Join us for a fast-paced Christmas street festival with the Soldiers of Christ Step Team, Exodus Missionary Outreach Church Gospel Choir, Unifour Christian Fellowship Church Praise Team and puppet ministry along with multi- cultural Santas and fun for the whole family. Hickory Ward 4 City Council representative Hank Guess will officiate the lighting of the Exodus Homes rooftop ornament celebrating the birth of Christ and the let the fun begin! Come stroll around the festival and enjoy the free holiday feast provided by Olive Garden, Texas Roadhouse, Taste Full Beans Coffehouse, Pepsi, PIzza Hut, Exodus Missionary Outreach Church, Church of the Master UCC, Episcopal Church of the Ascension, and Unifour Christian Fellowship Church. Come get your Christmas on! This is a holiday event you don’t want to miss, so please join us. The Exodus Homes’ 2011 William Mangum Honor Card “Change the World” will be on sale as well as Rev. Longcrier’s new book “From Disgrace to Dignity”.